International Paper and Coaching for Literacy are working together to support the Fight for Literacy Games initiative benefiting school children from kindergarten to third grade. The Fight for Literacy Games empower NCAA basketball coaches, their teams and fans to participate in literacy awareness efforts, volunteer work and fundraising activities. International Paper is the presenting sponsor of Coaching for Literacy’s Fight for Literacy Games with Louisiana State University and University of Memphis men’s basketball teams during the 2017-18 NCAA basketball season. “We mobilize our people, products and resources to address critical needs in the communities where our employees live and work,” said Mike Carroll, mill manager of IP’s Red River Mill. 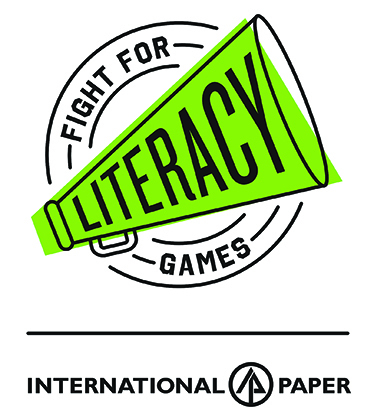 “Teaming up with Coaching for Literacy allows us to make an impact by creating awareness and providing support to effective, local literacy programs.” International Paper will sponsor the LSU Fight for Literacy Game Friday, Dec. 22 at the Pete Maravich Center in Baton Rouge. The sponsorship will provide grade-appropriate books and materials to three schools in communities where IP employees live and work in Louisiana: Fairview-Alpha Elementary School in Campti, Mansfield Elementary School in Mansfield, and Central Elementary School in Bogalusa.